What can I say? This is a wonderful book that does exactly what it says on the tin. There are clear directions with great photographs which take you through washing and preparing fleece. It shows you how to card using hand and drum carders; how to comb and how to use a diz. Every stage of fibre preparation is explained. It covers pretty much every yarn you could possibly want to spin and includes lots of different variations you can make by altering tension/twist/plying method etc. There are sections on core spinning, making singles, boucle, crepe and cable yarns. It covers how to include beads, make slubs and coils. With this book at your side you could spin almost any kind of yarn and understand the mechanics of how the various yarns are made. There's a great section on twist and using different twist direction and angle to create both balanced and energised yarns. It even has a section on yarns for weaving and why they can be different to kntting yarns. The book is beautifully laid out with lots of clear colour photographs for every stage. It really is a beautiful book. Now I have a lot of spinning books, from Mabel Ross' seminal Essentials of Yarn Design for Handspinners to Judith McKenzie's The Intentional Spinner and all of these books are useful, but this book, for me, is a book that every spinner will want to have in their library. 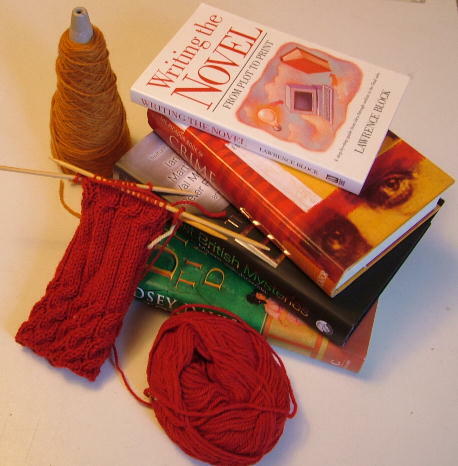 It's the kind of book that you will refer to over and over again, that you can dip into if you want to create a specific yarn, or that you could use as a guide and work through from beginning to end and expand your spinning repertoire. It is full of technical information, presented in a way that is easy to understand. This is a book that will suit both the beginner and the experienced spinner. There is something for everyone in this book. I cannot recommend it highly enough. It's going straight on my Christmas List! I also think that I'll get a copy for my spinning group - I can see it being very useful as a resource for the group. I had a digital proof of this book via NetGalley from the kind people at Storey Publishing for which I am immensely grateful. 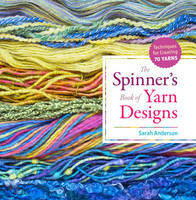 The Spinner's Book of Yarn Designs by Sarah Anderson was published by Storey Publishing on the 1st November 2012 and costs £17.99 in the UK.